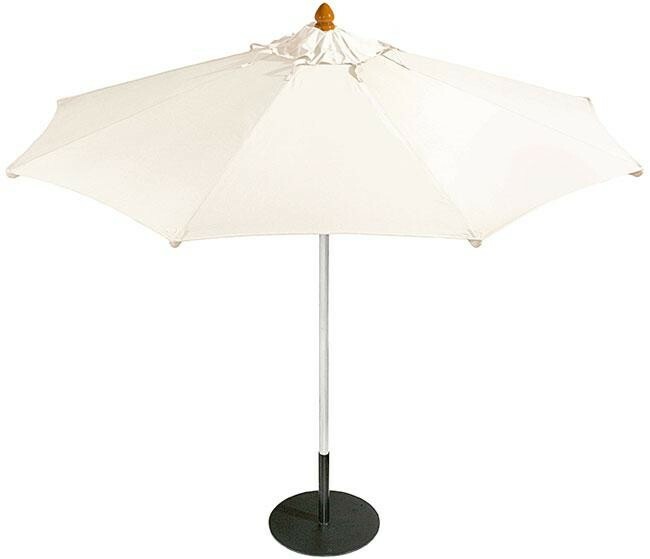 Dimensions (cm) H: 266.2 - Diameter: 302.4 Weight (kg): 18 The Sail Parasol 3m Circular Canvas with 48mm Aluminium Pole. 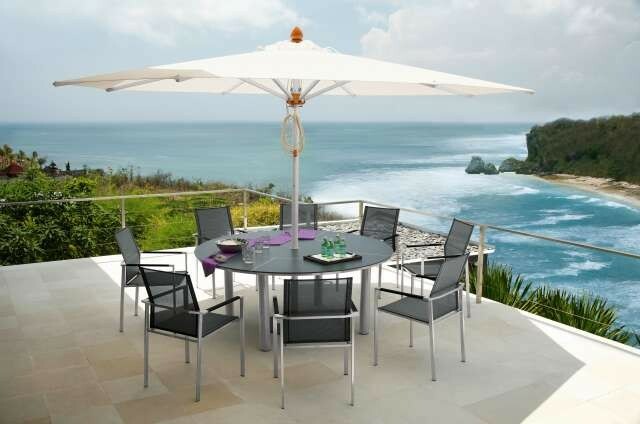 Suitable for the following tables: Drummond, Equinox, Haven and Horizon. 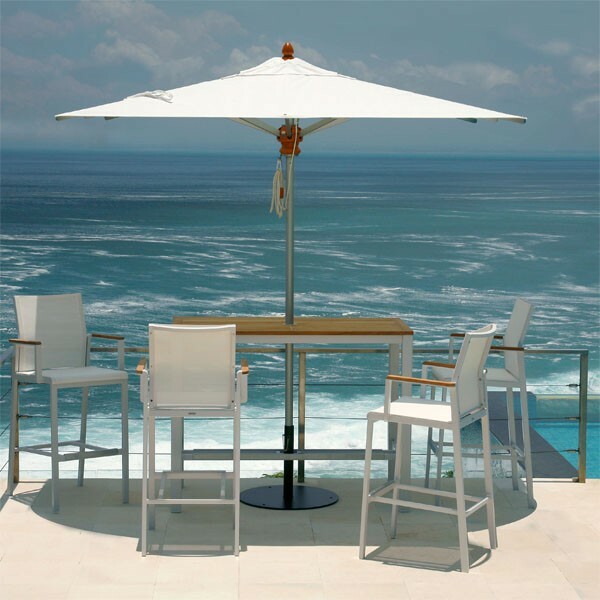 Barlow Tyrie use reinforced anodised aluminium, stainless steel and nickel plated brass fittings which gives the parasol an excellent finish. 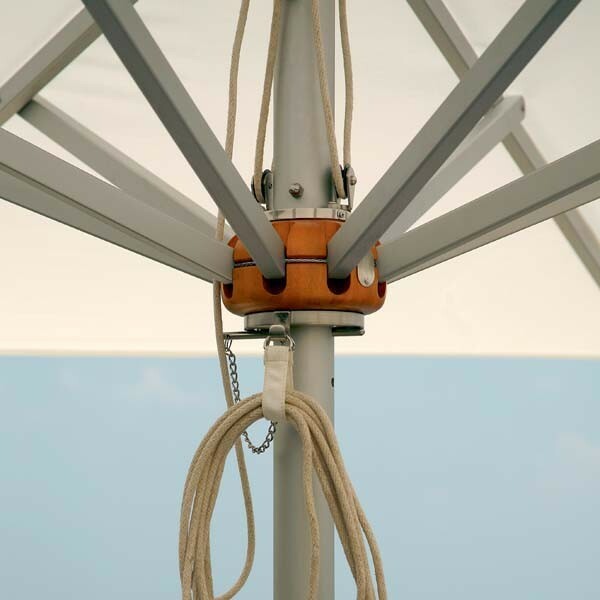 The Sail parasol canopy is made from Sunbrella Acryllc Fibre which is woven from 100% solution-dyed acrylic, colour-fast fibre. It is resistant to the fading often caused by sunlight and cleaning.